This property maintenance company has been caring for lawns and removing snow in the NW Twin Cities Metro profitably for 20 years. The complete exterior property maintenance services offered include spring and fall yard clean-ups, mowing, fertilizing, weed control, shrub and tree pruning, snow removal from driveways and lots, plus other ancillary services. Summer customers are approximately 60% residential and 40% commercial. Winter customers are approximately 50% residential and 50% commercial. Extremely low customer turnover and multi-year customer contracts yield consistent revenue streams year after year. Operating a profitable business consistently for twenty years does not happen by accident. This business's operating procedure is a well-oiled machine with experienced management in place to keep the track record going. Years of experience have developed good contracts that address the unknowns and seasonal variability. These fairly priced contracts help remove downside risks associated with unpredictable and outlier weather patterns. A professional image with consistent truck fleet color and logos, employee uniforms, and safety structure sets this company apart from the competition. 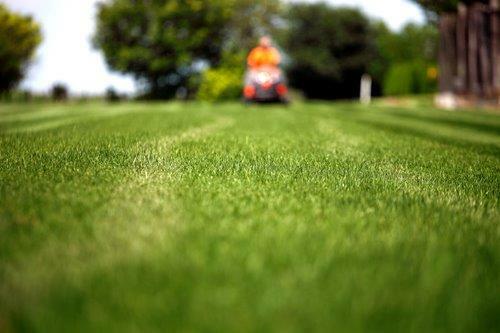 Prompt service and response times, quality cutting with sharp blades for a manicured lawn, and consistent, reliable service has built an extremely loyal customer base. This company enjoys good name recognition in its large trade territory. New business is turned away each year to maintain “right-sizing” for equipment and labor, and to keep customers satisfied. This consistent throughput has been accomplished without any advertising dollars or efforts other than maintaining their professional image. Anyone wishing to expand facilities and workforce would be expected to achieve growth if desired.